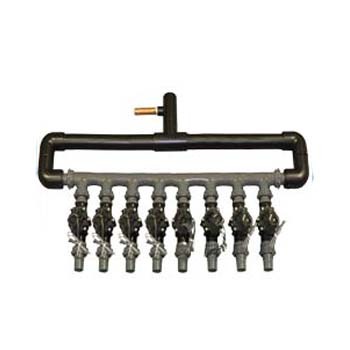 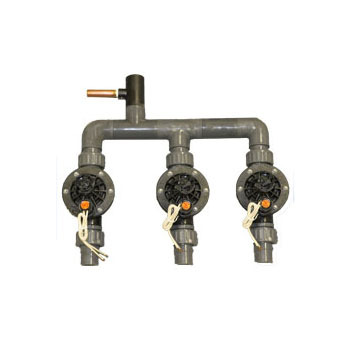 This is the average standard splash pad manifold that will handle 4 different zones of nozzles and is most common. 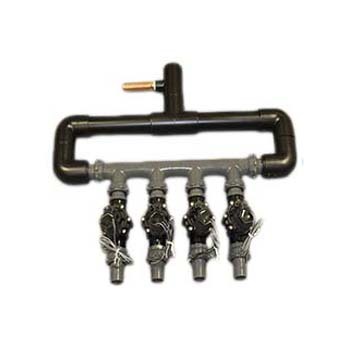 Each zone will typically have anywhere from 3 to 4 nozzles and can be laid out in any shape. 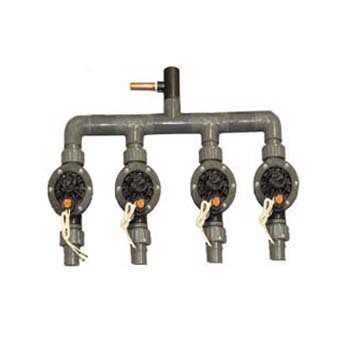 This will handle anywhere between 12-16 nozzles on your splash pad and will spray in different sequences. 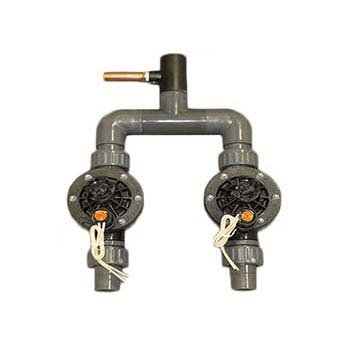 Commonly used on our residential splash pad applications.